By creating raised gardens, beautiful tree rings, or subtle low walls, retaining walls add curb appeal to your property. Retaining walls are also the perfect solution when landscaping on hillsides or uneven ground. 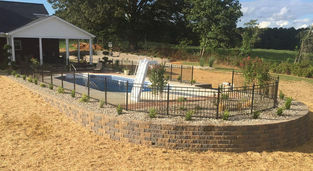 Retaining walls are not only functional, but also gives a modern, upgraded look to your landscape. Construction procedures and base preparation are crucial to building a retaining wall. A wall built quickly and cheaply will probably not last. While a properly constructed retaining wall adds beauty, a poorly built wall will quickly become an eyesore. 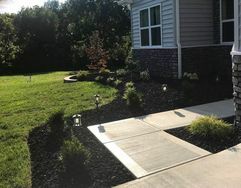 At Green Thumb Lawn & Landscape, each project is overseen by a team of craftsmen skilled in the installation of high quality hardscaping materials. 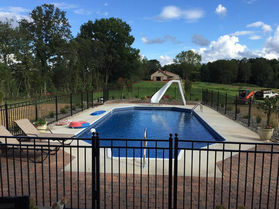 From site preparation to installation, your project will be in professional hands. 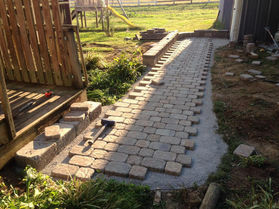 Brick, stone, or concrete pavers bring definition, beauty, durability, and functionality to a landscape. 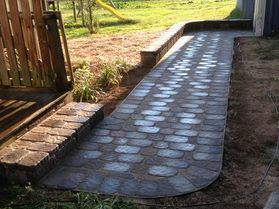 Landscaping pavers can be used for patios, walkways, outdoor barbeques, entranceways, pool decks, and driveways. 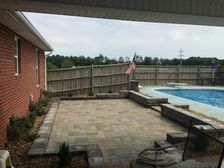 Properly installed, landscape pavers will not crack, sag, shift, or separate and will continue looking magnificent for generations. If they ever become stained or marred, they can be repaired quickly, easily, and reasonably. 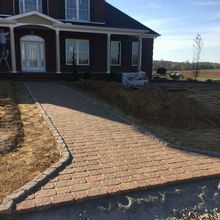 A paver installation designed and installed by Green Thumb Lawn & Landscape will be eye-catching, aesthetically pleasing and functional. 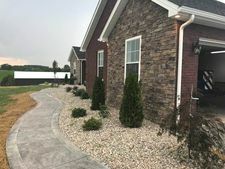 With years of design experience along with our extensive construction knowledge, we can install a driveway, patio, or walkway that will last a lifetime. The possible applications for pavers are only limited by your imagination. Maximize your outdoor living space with a design that is all your own.